One of Bonsucro’s priorities this summer has been to take Bonsucro Technical Weeks to more sugarcane producing regions around the world. Ever since the first Technical Week was held in Brazil back in April, we have seen a remarkable appetite for people to learn more about the technical aspects of the Bonsucro system by participating in the weeklong events. So far, Technical Weeks have been held in Brazil, Thailand, Swaziland, Mexico and India, with Colombia next on the list in October, and many more on the cards for 2018. Bonsucro Technical Weeks aim to gather and train those interested in implementing the Bonsucro Production Standard on-field. Tailored for practitioners, auditors, and change enablers, the week includes Qualification Training, Technical Experience Sharing, Bonsucro Connect Workshop, a locally relevant consultation followed by a field trip to a local mill and its farms. Bonsucro Technical Week headed to Mexico in early July and then India in mid-August 2017. With 74 participants in attendance between the two events, including representatives from diverse mill groups, Bonsucro Technical Week provided a space for practitioners to discuss implementation strategies. 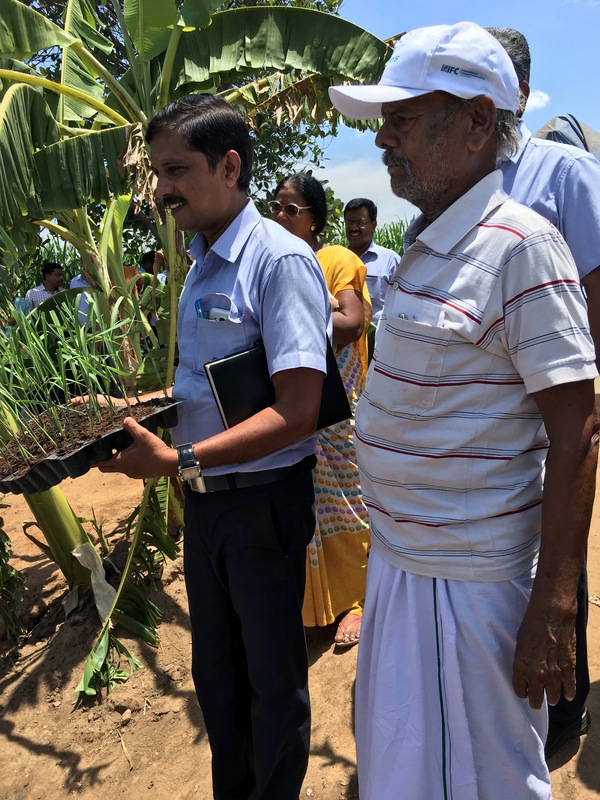 Despite participants producing sugarcane on opposite sides of the world, in very different landscapes and cultures, they face similar challenges in effectively engaging smallholder farmers. This was particularly evident during our new Technical Experience Sharing session and field trips. One example involved staff from EID Parry, one of India’s largest milling groups (with three Bonsucro certified mills) explaining how within their data collection process with smallholder farmers, they leverage relationships with mill extension agents and farmers to track and estimate water usage and fertiliser consumption. This is done using the Bonsucro Calculator, an innovative approach. 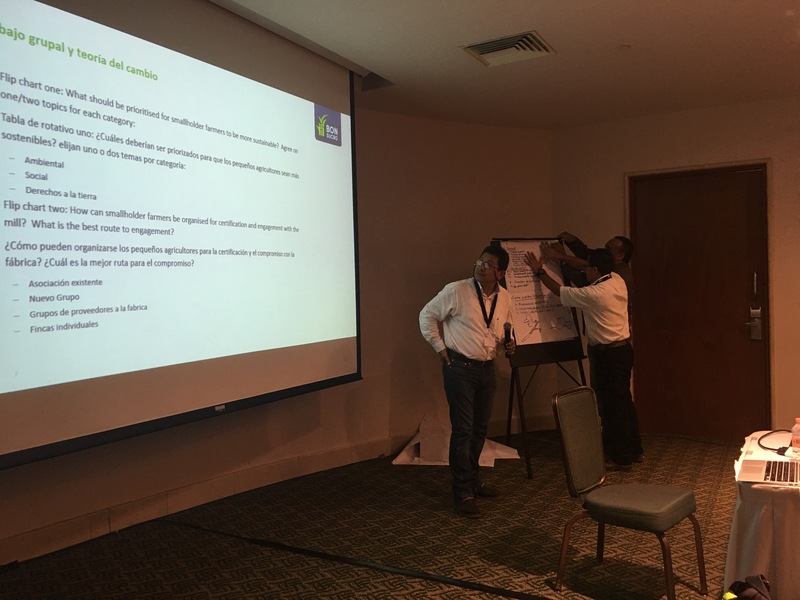 The most significant topic that arose during the discussion on smallholder farmers and the smallholder consultation in Mexico was on the use of personal protective equipment (PPE). PPE is vital for workers in the field to stay safe during, for example, the spraying of agrochemicals. During the field visit, Groupo GAM’s Tala mill emphasised the importance of PPE and explained how they sourced and used effective PPE on-field. Substantial work is done to identify the right supplier of PPE to guarantee workers’ safety. Throughout both Technical Weeks, it was clear that both countries have a unique history of land reforms and requirements on land ownership. 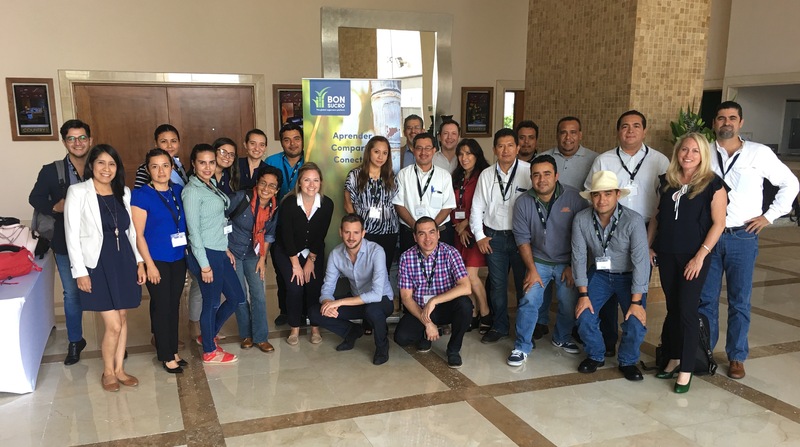 During the workshop day in Mexico, Proforest and PepsiCo presented research on this subject (read more about it here). Land title and absence of conflict are core indicators (required for all certified mills and farms) in the Bonsucro Production Standard, so it’s important for practitioners to be aware of these issues. Workshops and experience sharing sessions within Bonsucro’s Technical Weeks are important spaces for learning and provide valuable input on standards development. Bonsucro continues to evolve and improve to provide the best training and provision of tools and resources for sustainable sugarcane production. Bonsucro has recently launched a review of the Bonsucro Production Standard for the smallholder context and provided improvements on the Bonsucro Calculator on Bonsucro Connect. Both India and Mexico were excellent host countries for Bonsucro Technical Weeks. Both countries have their fair share of opportunities and challenges when it comes to sustainable sugarcane production, and while on the surface their realities may seem very different, the events served to highlighted the similarities that do exist between their industries and the way in which Bonsucro can help different regions to learn from each other. Want to know more? To get in touch about the smallholder review or Bonsucro Connect, please contact Sonia Slavinski, Standards Manager. Our next Technical Week will take place in Cali, Colombia on the 23rd – 27th October 2017. If you are interested in participating, please register here. Read more about the Smallholder Review here.